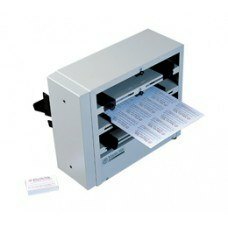 Shop our wide variety of Martin Yale business card slitters for your finishing needs. 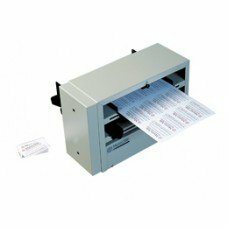 Slitters are used by markets varying from individual businesses to print finishing companies. 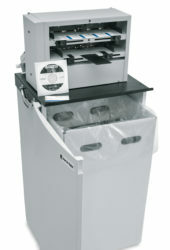 Martin Yale paper slitters are an economical option for low volume business card slitting. 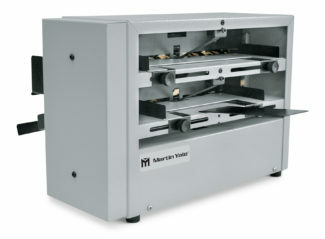 Our paper slitters are self-sharpening, so maintenance is low, and the cut stays true over time. 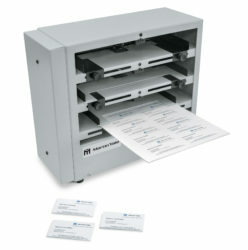 We offer 8up, 10up and 12up formats. 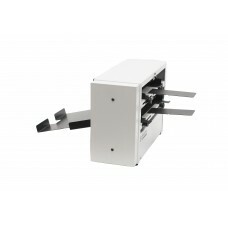 Or, check out our gutter-cut machine for trimming full bleed printed stocks.